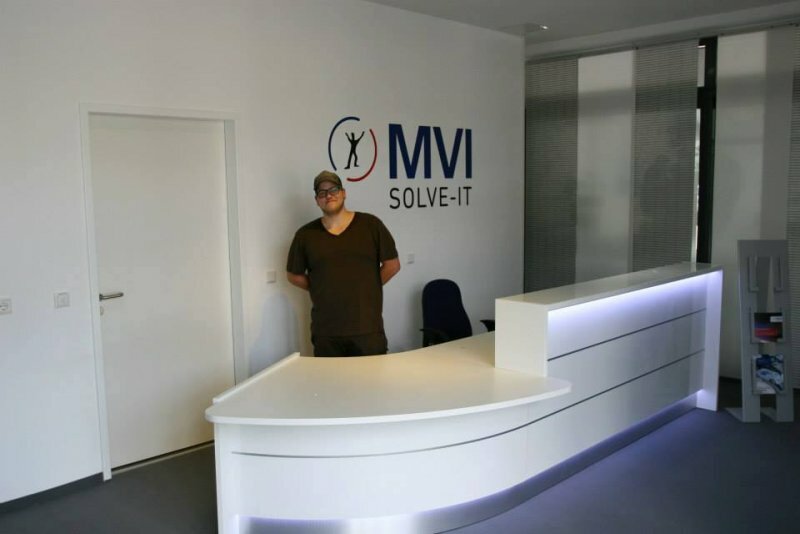 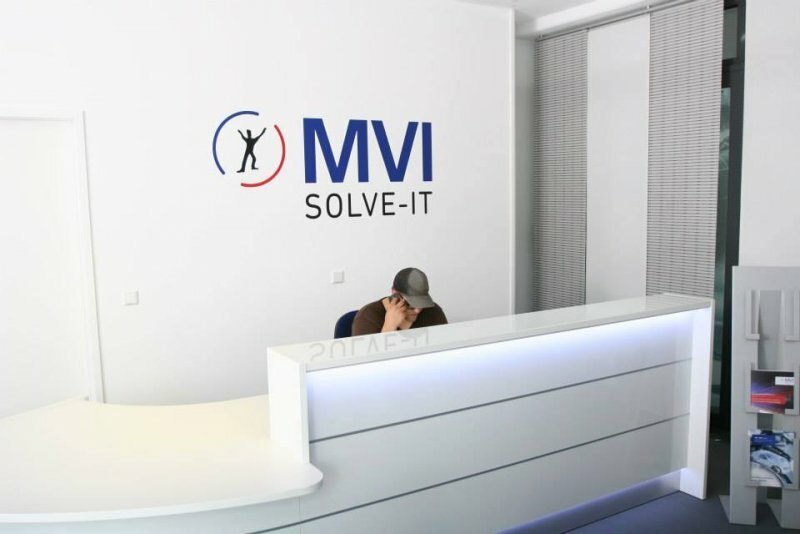 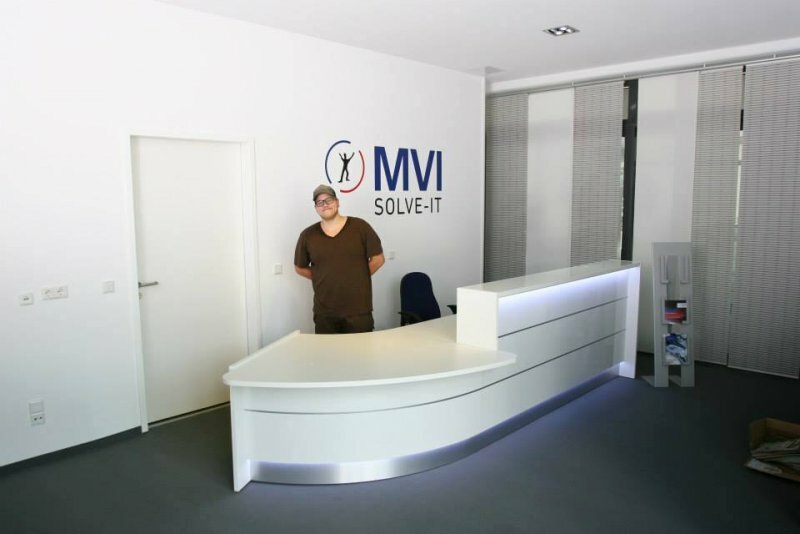 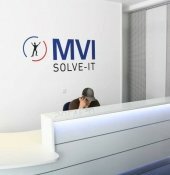 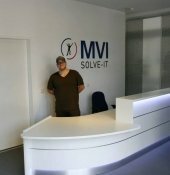 The company MVI IT finished their movemend to the new building successfully and a new furniture design had to set up. 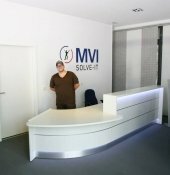 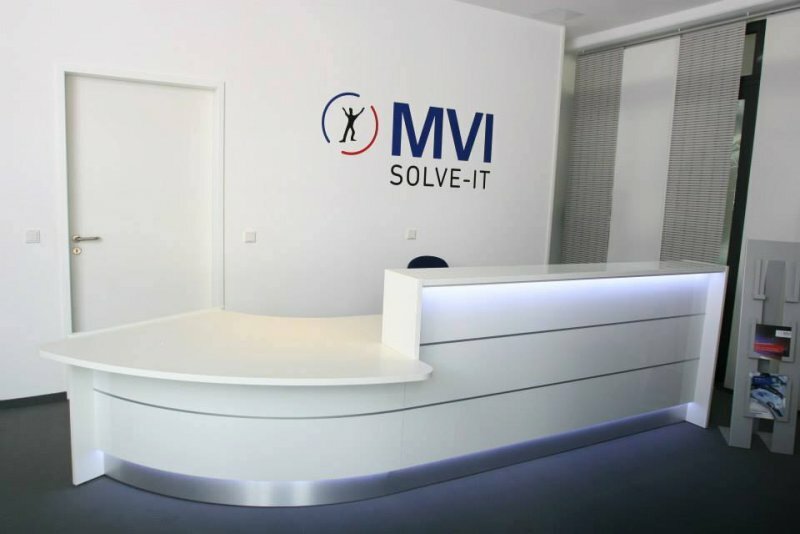 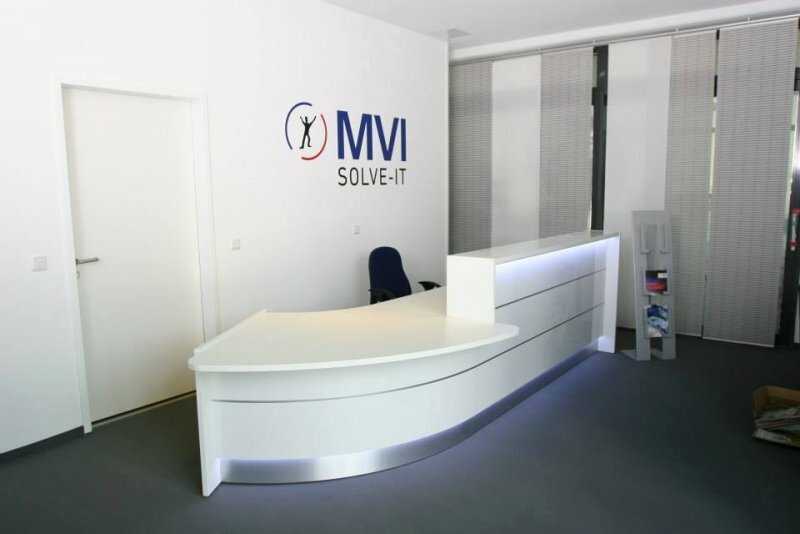 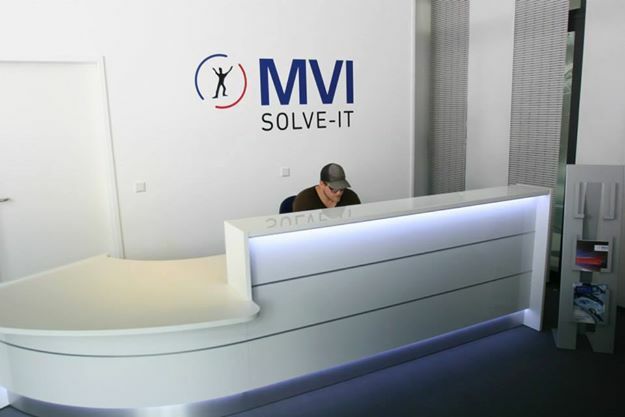 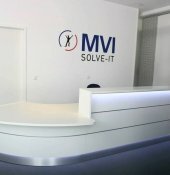 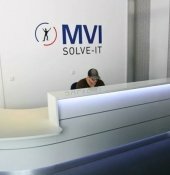 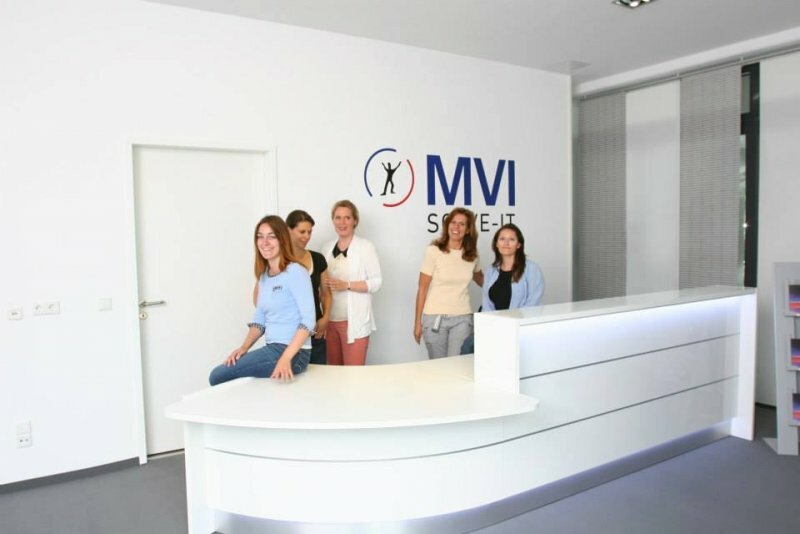 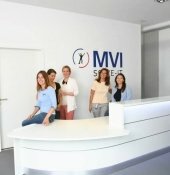 We delivered for MVI our famous reception desk for incomming customers. 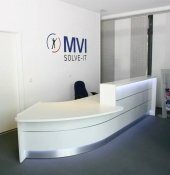 the desk has a customerfriendly flad element integraded for a open friendly reception.